If your furnace is giving you trouble and you want to address the problem without delay, you are likely wondering where you should turn for support on which you can depend. Our team is proud to service Rheem furnaces in Denver and nearby cities. When you need a hand from a trusted team, we will have your back and give you the outcome you deserve. You will soon learn about the repairs we offer and why you should turn to us when your furnace needs attention. With this guide, our goal is to point you in the right direction and empower you to make the best choice for your situation. A lot of people are curious about Swan and the benefits we offer. Our caring staff who will do their best to meet your needs and leave a smile on your face. They take the time to learn about each client so that they can provide outstanding service each step of the way. If you want to make sure your furnace is always running at its best, you can sign up for our club membership. It includes discounts and guarantees that you will get help within 24 hours if you encounter an emergency, such as your furnace breaking down in the middle of a cold and snowy night. People often come to us when they need a team that will stand in their corner and provide prompt service at a fair price. Our customers know they can count on us to do the job right no matter the problem they face, and you will see why if you give us a chance. Or, click here to schedule your Rheem furnace service online. It's important to know the type of repair service you can get before spending your money, and we always remain transparent. We can help if you need routine maintenance, minor repairs or major repairs. Our team can check your thermostat for signs of trouble and inspect your ducts to make sure they are in great shape. Learning about our approach is an excellent way to decide if we are the team for which you have been looking. The process begins when you reach out to us for help with your furnace, and speaking with you is how we learn about the problem you are facing. We will first try solving the issue over the phone to save you time and money. If we can't resolve your issue over the phone, we will send someone to your door at a time and day that work for you. 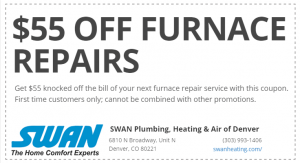 The Swan team is only one phone call away when you need prompt and reliable furnace repair services. Most people don't give their furnace much thought until something goes wrong, but you must remember to take care of it so that you can avoid complications. Our team can give you the support you need no matter the roadblock you have encountered. 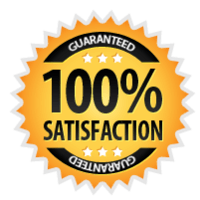 If you are ready to enjoy the benefits we have to offer, reach out to us right away.